I can recommend the sectors Egocentrisimo, Bulder de Jon, Cafe Solo and Bisagara, which can all be found just next to the village. Egocentrisimo has some really impressive routes which are all around 25m. Make sure to try De Bien Nacidos (7a+) which has a really nice sections that looks like an open book carved into the wall. Cafe Solo has some nice routes in the 7a-7b, which are pretty tough for their grades though. Bulder Job is where it's at if you're looking for short, overhanging climbing. 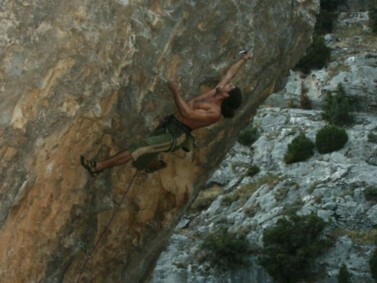 Steil is geil (7a+) and El Pequeno Bravo (7c) are both quality. On the other side of the valley check out Familia Manson and the absolutely stunning lines running through this massive cave. Also the Grand Boveda is worth a visit, if only to stare in wonder at the sheer length of the routes. Further up the valley make sure to climb at Maldita Codicia if you're strong enough. Optically its probably one of the best crags in the valley, as you climb out of a cave through which the river runs, and finish off on some sustained jugs just underneath sector El Camino. along the way. I will have to check it out.